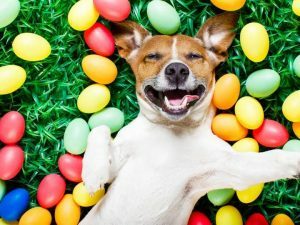 Bring your pup(s) into Camp Pawsitive Good Friday, April 19th, for our Easter Party! Fun activities include photos with the Easter Bunny, Easter egg surprise, and more! We’ll even be sending you home with your pups Easter photo (via email).